What Evidence And Documentation Do You Need To Prove Wrongful Termination In California? On behalf of Admin of JML Law, A Professional Law Corporation posted in Wrongful Termination on Saturday, Nov 24 2018. Being fired or laid off from your job is always a frustrating experience, but even more so when you are being terminated for illegal reasons. And while you may be 100 percent certain that you have been wrongfully terminated by your employer, it will take more than just your words to prove wrongful termination and seek compensation. And that’s where evidence, paperwork and documentation come in handy. Documenting the process that led to your firing is a key element of proving wrongful termination. In many situations, the employee who is about to get wrongfully terminated by his or her employer have a gut feeling that something is up before the firing. If you feel like your relationship with your employer has taken a turn for the worse or your employer has reprimanded you, discriminated against you, or attempted to sexually harass or abuse you in the workplace, start documenting each work-related event. More often than not, employers who do not want to be accused of wrongful termination plant a wide variety of seemingly legal hints to distance themselves from liability. These include but are not limited to poor performance reviews, reductions of pay, reprimands, and informal comments. “If you manage to keep a paper trail, you might be able to collect sufficient evidence to prove wrongful termination,” says our wrongful termination lawyer Los Angeles at JML Law. In addition to taking notes that include the time, date, and location of work-related events (and whether there were any witnesses), gather such documents as copies of workplace policies, any emails or letters sent to and from your employer, any memos and reviews provided to you before the termination, etc. However, you may want to consult with a Los Angeles wrongful termination lawyer to find out which documents might be considered confidential by your employer. You need to know if you have a legal right to copy or possess these documents. If you don’t, this might not only create unnecessary obstacles to your filing of a wrongful termination claim, but could also get you in trouble with the law. 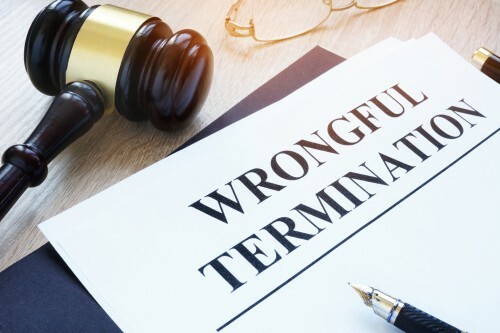 Many of those who get wrongfully terminated underestimate the importance of getting a written explanation for their firing, depriving themselves of a key element of documentation in a wrongful termination lawsuit. Requesting a written explanation of why your employment was terminated can help you sue the employer even if he or she provides a perfectly legal explanation. As a matter of fact, you need to be able to show that the reasons provided by your employer are in conflict with the real reason why you were fired. In fact, in California, employers are legally required to provide their fired employees with a termination letter. If you, for some reason, cannot get a termination letter, consider request a letter of understanding. But notes, a written explanation of your firing, and any paperwork that can be collected prior to your termination are not the only forms of documentation for a wrongful termination case. Our experienced wrongful termination attorney in Los Angeles explains that you will be able to gather more documentation in the weeks following your firing. Since many employees who have been recently fired choose to file a claim for unemployment compensation, you get a unique chance to hear back from your employer as employers are required to respond to unemployment compensation claims from their former employees. Since each wrongful termination case is difficult, it is advised that you consult with a skilled lawyer to find out which documents and records could be relevant to your case. Get a free consultation from our attorneys at JML Law by calling at 818-610-8800 today.